Green Comfort Solutions is a family-owned small business located in Danbury, CT that provides a variety of home and business insulation services. Established in 2006, we have years of installation experience and have been trained to work with a number of insulation materials. As experts in the field we can provide you with professional advice and information about the insulation materials we offer and make recommendations depending on your property and budget. Not only are we proud of the installations that we complete, but we take pride in the personal and professional relationships we develop with our clients, both residential homeowners and other local contractors. 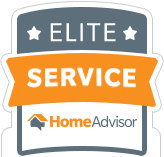 We’re not only committed to providing each and every customer with the best quality installation, but a service that they can trust. At Green Comfort, our primary focus is to combine comfort and energy efficiency that provide our clients with financial savings. Our certified technicians install high quality products from trusted manufacturers and provide other services to keep your home or business optimally insulated. No matter the size of the job, we treat all of our clients with the same level of care. We offer different types of insulation to accommodate different budgets and needs. Our technicians will recommend to you a type that will provide the highest level of energy efficiency within your budget and supply you with a free estimate of the cost. We never try to upsell our clients on a product or service they don’t need, and our owner monitors each job to ensure this. When you need a reliable service that can help boost the energy efficiency of your property, contact Green Comfort. We proudly serve Fairfield and Westchester Counties and all of the surrounding communities. Green Comfort Solutions provides service throughout Westchester County, New York and Fairfield County, Connecticut including, Greenwich, Wilton, Westport, Stamford, New Canaan, Rye, Harrison, Mamaroneck, Bedford and surrounding areas.